When you get to check out the Diesel variant it’s always nice to compare it to the Petrol alternative. The new Volvo V40 Petrol is a nice car to drive, having all the great exterior and interior features of the diesel models but powered with a different engine. 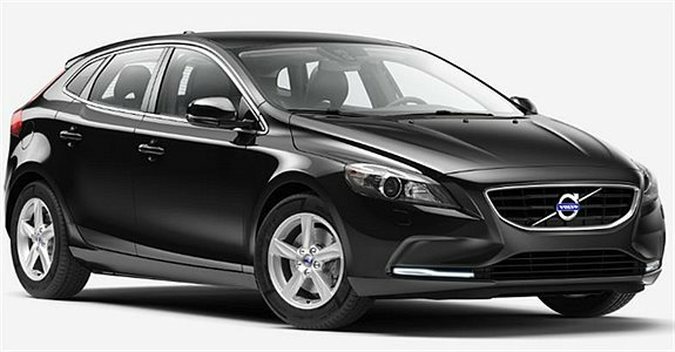 Superbly safe and extremely well designed, the new Volvo V40 Petrol cars are rewarding to drive. The sharp styling of the V40 Petrol cars looks superb. It’s incredible how Volvo makes something look so good and yet can offer the world’s best safety features on-board their cars. Volvo states that it is their goal that by 2020 no one should be killed or seriously injured in a new Volvo. That’s a great goal to have, and with the current flow of new Volvo safety technology being implanted into Volvo cars, it’s easy to believe this will be an achievable goal. Volvo V40 Petrol cars boast IntelliSafe technologies where you can change lanes with the confidence that the Blind Spot Information System allows you to do so. Radar sensors alert you to traffic that is situated closely around the vehicle. Volvo’s Lane Keeping Aid, works to keep you safely inside your lane, gently steering you back inside your lane if it detects you to be veering off-line. City Safety technology detects pedestrians and cyclists on the road ahead, and the new Volvo V40 will brake for you to lessen or avoid impact. It is this level of sophistication and practical down-to-earth safety that makes Volvo cars a real leader. A new Volvo V40 Petrol Hatchback will provide smooth and comfortable transport whatever the drive. The well-balanced handling package and high level of comfort means that you’ll find the Volvo V40 Petrol rewarding. Three petrol variants can power your new V40 Hatch. The base engine being the quick little T3 motor with 1.5-litre capacity and 112 kW of power and 250 Nm of torque from between 1700 and 4000 rpm. The T4 is a smooth five-cylinder, direct injection, turbo-engine with 2.0-litre capacity. A grunty 140 kW of power and 300 Nm of torque between 1300 – 4000 rpm gives the T5 the edge over the new BMW 320i. To finish the petrol engines out, the Volvo V40 can come equipped with the range-topping T5, 180 kW, four-cylinder direct injection turbo petrol engine. A 350 Nm figure is quite something in a vehicle of this type. A 0-100 km/h time of a smidgeon over six seconds makes this a very swift car that can keep pace, and better, many larger cars on the roads. 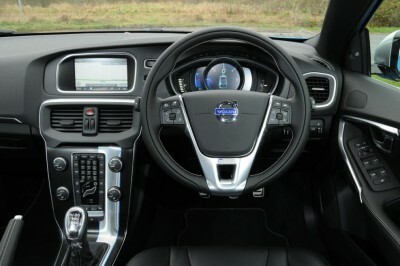 There are plenty of cool features inside a new Volvo V40 Petrol Hatch. And the name Volvo has given to the range of features that enhance your journey is the Sensus intelligent technology. Volvo remains a part of your digital day, helping you to stay connected with the world via an easy-to-use high-definition touch screen. Steering wheel and voice controls are actively responding to your commands. You feel pretty special with this level of simple-to-use technology. Latest information, entertainment and connectivity means that the Volvo V40 Petrol has plenty of goodies to make the drive enjoyable for all occupants. A Harmon/Kardon premium sound system can play your favourite music tracks… loud. And, one of the really cool features is the ability of the Volvo owner to use their smartphone, tablet or smartwatch to find, lock or check their car’s status remotely. You can even activate the climate control prior to hopping inside and driving off. If you opt for the Sensus Connect package, your Volvo V40 Petrol is a mobile wi-fi hotspot. The feeling of smooth, effortless performance; the knowledge of having the best safety technologies at-the-ready, and premium comfort make the new Volvo V40 Petrol models hard to pass by. For any more information on the Volvo V40 Petrol or, for that matter, any other new car, contact one of our friendly consultants on 1300 303 181. If you’d like some fleet discount pricing (yes even for private buyers! ), we can submit vehicle quote requests out to our national network of Volvo dealers and come back with pricing within 24 hours. Private Fleet – car buying made easy!